Now that the calendar says fall is really here, it’s time to start thinking outerwear. Our approach is to think in terms of layers, and it’s as easy as 1-2-3. Layer 1 – Protect the Core: Contrary to popular belief, you don’t lose most of your body heat through the head. 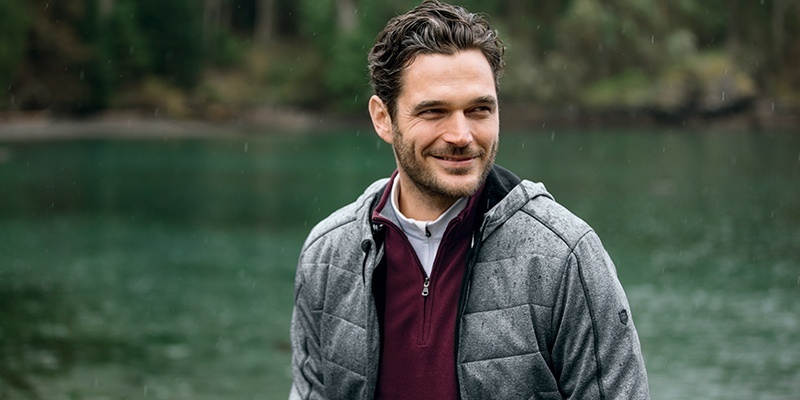 Your first layer should protect your core – which is why an item like the Stealth Full-Zip Vest is a great place to start for those days that are chilly but not cold. It provides warmth and temperature regulation while keeping your arms free to move and your back ventilated. 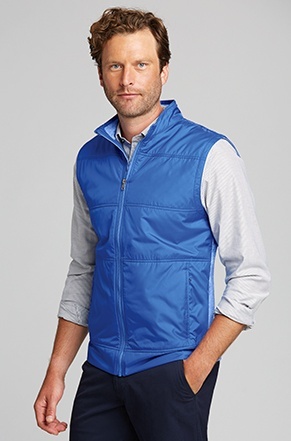 Layer 2 – Be Ready for Anything: Starting with a vest means you can add a lightweight jacket for additional coverage when the situation warrants. 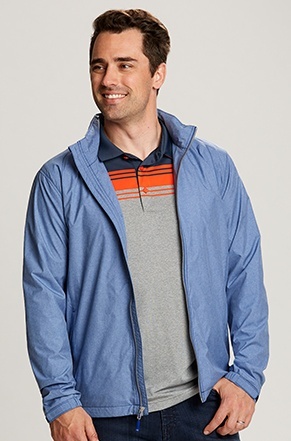 Our pick here is the Panoramic Packable Jacket. 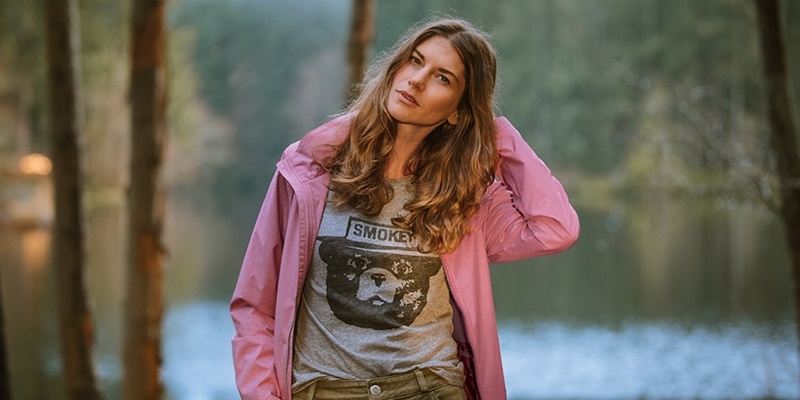 It stows easily in a backpack or briefcase, but the CB WeatherTec fabric and concealed hood make it sturdy enough to protect you from sudden showers and frosty temps. Layer 3 – Full Quilted Jacket: Finally, you’ll want a layer that provides additional warmth and insulation. 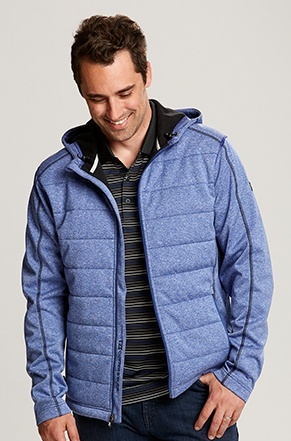 Our Altitude Quilted Jacket is a smart piece to throw on top as the mercury bottoms out. 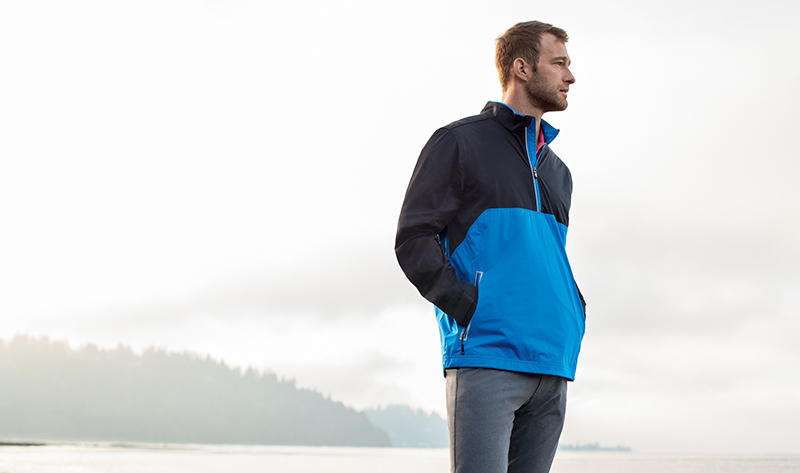 It’s a cozy, heathered fleece jacket that still looks great on your urban adventures.